Merimasku’s first wooden church was built in 1648 on the shore of the inlet. It was replaced by this wooden cross-shaped church. 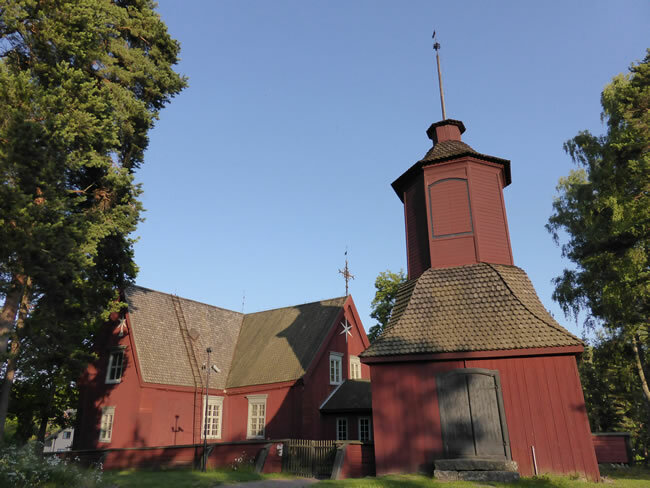 This wooden church was built in 1726 and still in use today. As with the church in Askainen, it also has a separate bell tower.